Boat Description For those who have always dreamed of owning a Sea Ray Sport Yacht, the dream is now within reach. The 360 Sundancer offers plenty of seating for your friends. Her cabin sleeps six. She has a full galley, a flat screen LCD TV w/DVD in the cabin, TV/DVD combo in the forward stateroom, a wet bar and a quiet step-down conversation area. 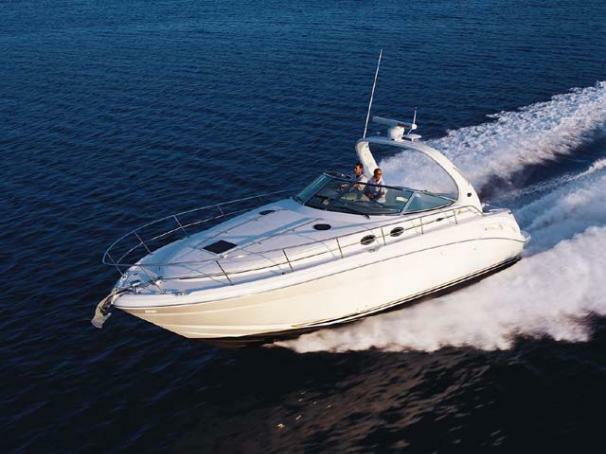 And her twin VD-8.1 S Horizon MerCruiser gasoline V-drives give you the power to go as far as your dream will take you. Engine Notes Yanmar V-drives also available.